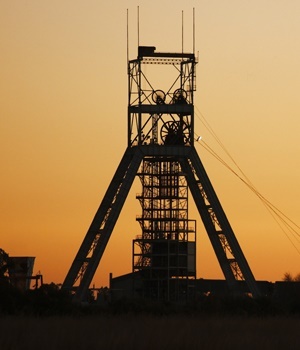 Harmony Gold [JSE:HAR] earnings for the six months ended December 31 will be lower compared to the same period in 2017, due, in part, to a R180m loss on its dollar denominated debt. “A translation loss of R180m was recognised on the US dollar denominated debt as at 31 December 2018, compared to a translation gain of R196m recorded in the previous comparable period,” the company said in a trading statement on Friday. Harmony will publish its interim financial results on Tuesday. Earnings per share are expected to decrease to between 6 and 26 South African cents per share, which is between 87% and 97% lower than the previous comparable period. In US dollar terms, the earnings per share is expected to be between 83% and 97% lower than the earnings of 15 US cents per share reported last year. Gold production for the group was at 751 000oz, a 34% increase compared to the same period in 2017. Africa’s third biggest gold producer its investments in Hidden Valley in Papua New Guinea and Moab Khotsong, south west of Johannesburg, contributed significantly to the firm’s operational free cash flow. Acquired late 2016, Hidden Valley reached commercial levels of production in June 2018, according to the company. It has the potential to contribute approximately 180 000oz per annum, according to Harmony’s production profile.